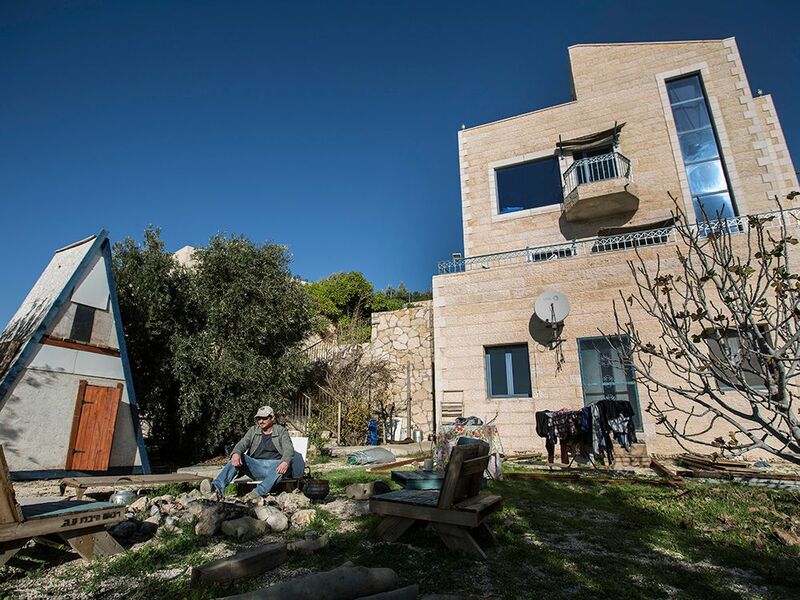 Moshe Gordon sits outside his guest house advertised on the Airbnb international home-sharing site, in the Nofei Prat settlement in the West Bank, in a photo taken on Jan. 17, 2016. Planning a group holiday in Kashmir? Airbnb is there to serve you. Likewise in Tibet, northern Cyprus and Georgia’s separatist republic of Abkhazia, all occupied or disputed territories. Airbnb’s political neutrality in these hot spots therefore quite rightly casts suspicion, to put it mildly, on its recent decision to delist some 200 Jewish homes in West Bank communities. Airbnb stated, “We know that people will disagree with this decision and appreciate their perspective. This is a controversial issue.” No kidding. An Israeli class-action lawsuit has been filed against Airbnb, seeking US$4,000 in damages for every affected host. Setting aside the anti-Semitic optics, is it legal for Airbnb to do this? The U.S. Constitution, as well as various state laws and acts of Congress, prohibits both American individuals and corporations from participating in boycotts against other nations. A corporate boycott against a foreign government does not fall under the “free speech” rubric,” but is considered a “tool of statecraft” reserved for the federal government in such situations as war. The office of Rob Portman of Ohio (R), an author of the Israel Anti-Boycott Act in the Senate, told The Jerusalem Post last Tuesday that it wants to hear from Airbnb. The Illinois state legislature — which passed the nation’s first local anti-BDS law in 2015 — will reportedly meet in mid-December, when it anticipates debating whether Airbnb violated its statute. If Airbnb is found to be in violation of anti-boycott laws, the company could be subject to fines, tax consequences or even criminal action. Doubtless, Airbnb has smart lawyers on the payroll who know all this, but it risked it anyway, likely on a too-big-to-fail presumption that may in fact be justified. After all, Airbnb boasts 150 million app and website users, with 15 million Facebook followers and 590,000 participants on its own community forum. The company’s affirmation that boycotting certain Jewish Israeli citizens will advance peace in the Middle East will result in many credulous people, uninformed on this issue’s legal and political complexities, accepting Airbnb as a trustworthy political actor. In its resolution, Beverly Hills city council also stated, “In the event that Airbnb does not stop (the blacklisting of Israeli homes), we call upon all civilized people across the globe to boycott Airbnb until such time as they desist from these despicable anti-Semitic actions.” But is there any chance people — even pro-Israel Jews — will make such a sacrifice in numbers critical enough to dent Airbnb’s massive suit of market armour? Meanwhile, should you seek to sojourn in occupied Crimea, Airbnb offers a charming seaside home with 16 beds for only $21 a night. Anti-aircraft missiles not included.